During the 2008-2009 school year, I got accepted to finish my undergraduate studies at California State University, Long Beach (CSULB, Long Beach, CA) and pursue a Bachelor’s Degree in Journalism, and a Minor in Africana Studies. I was going through a transitional period in my life because it was the first time I moved out of my Parents’ house and began my journey of becoming independent. My first year at CSULB was a complete disaster because I was put on academic probation after my first two semesters. If I had another bad semester, the university would be forced to kick me out of school for a semester, which was three months and I would have to re-apply all over again. I decided to take four classes my first semester because just about every student I came across were taking at least 12 units or more. At the time, I felt I was smart enough to take 12 units a semester like everybody else because CSULB chose me to attend their university. During my first semester, I experienced racism and was stereotyped like some young black men trying to find their purpose in the life. I had a journalism class on Monday’s and Wednesday’s, and the class was an hour long, which made it difficult for me to concentrate because my prosthetic leg gets very uncomfortable and painful when I’m in it for a while. My Professor would sometimes cancel classes on Wednesday, and tell his students to turn in their homework at his personal office by sliding the homework under his door. The problem is my prosthetic leg doesn’t allow me to bend down that low. So, after class, I asked my Professor if there was another way I could turn in my homework because I’m physically disabled with a prosthetic leg and can’t bend down that low. Of course, he said it wasn’t a problem, and I could turn my homework in at the journalism office. The secretary made me feel less than human because of circumstances I had no control over and stereotyped me as another young black male that is portrayed by the media and our society. I believe she was more concerned about my athletic ability, rather than my mental ability in the classroom. As you could tell, my first semester at CSULB was a horrible experience, and my report card reflected that. For instance, my report card was as follows: F, F, D, and C. After my report card, I was automatically put on academic probation. My second semester wasn’t that much better, but it progressed. I found out about Disabled Student Services (DSS) at CSULB, and they focus on helping disabled students succeed in the college environment. They said it would be best for me to just take two classes because I would have a better chance of performing well. My report card for the second semester was as follows: B and C, but it wasn’t enough because I was still on academic probation. If I had another bad semester, the university would be forced to kick me out of school for a semester, and I’d have to re-apply all over again. This was a really depressing time for me because I knew there was going to be a dark cloud constantly following me for the next three years, and I felt that I was struggling to stay afloat. I also questioned if CSULB made the right decision by accepting me to attend their university. At the end of the 2008-2009 school year, a video game entitled "inFAMOUS" was going to be released for the PlayStation 3 console. I was familiar with the history of the developer, Sucker Punch Productions. During the PlayStation 2 era, they made the Sly Cooper franchise, which was a very good stealth, action-adventure, and platform game with a film noir and comic book style presentation which stood out from the competition. When I saw the first trailers for inFAMOUS, I just thought the game was going to be “ok” because it was about a superhero with a heavy comic book influence. I was never interested in superheroes or comic books. I knew I was going to buy the game based on the strength that I knew Sucker Punch was a great developer and made amazing games. May 26th, 2009 was the official release date for inFAMOUS, and I approached the game without any expectations, but I was leaning more towards it being good, but not great. When I first pressed the start button, it changed my life for the better because I finally found somebody I could relate to with main superhero protagonist (main character) Cole MacGrath’s inspirational story. I’ve been a hip amputee since 2003, and I was looking for somebody or something I could relate to because I was insecure with myself. I finally found what I was looking for in Cole. I used the vibes I got from Cole and used that energy within my personal life. I could honestly say that the aura of Cole helped me overcome my many insecurities when I became a hip amputee. Cole also helped me get over the obstacle of being on academic probation for three years by helping me re-group and only taking three classes during the fall and spring semesters. I also took one class every winter semester and two summer semesters. My new plan eventually helped me graduate from CSULB with Bachelor’s Degree in Journalism and a Minor in Africana Studies in 2012. At the beginning of the original inFAMOUS, a huge explosion happened, and Cole was at the center, alive, but changed and able to control electricity. During the introduction, Cole said, “Outside things were bad, but inside. Inside me. something was beginning.” Cole was forced to deal with controlling electricity, just like how I was forced to deal with having knee cancer twice during my teen years. Cole was in the hospital hooked up to an IV pole with his girlfriend Trish and best friend Zeke by his bedside. I had a flashback from my own life when I was 14 years old. I was also in the hospital hooked up to an IV pole with my Grandmother and Uncle by my bedside. At the end of the introduction comic book cutscene, Cole said, “But with time I’m learning to control it. master it. just hope it’s not too late.” Cole eventually mastered how to control electricity, just like how I eventually mastered how to walk with a prosthetic leg. When I saw those connections between Cole and myself. I became completely invested and interested to see how the game was going to play out. Sucker Punch did a really great job of making Cole an ordinary person that became a superhero. In my opinion, Cole’s personality was very grounded, and the player was taken on the journey of “if” this were to happen; this is how a normal person would react if given superpowers. Sucker Punch also did a great job by bringing in players like myself who aren’t necessarily comic book and superhero fans with their parkour and combat system that was fast-paced and versatile. Cole is a parkour master, which means he moves through a complex environment by running, climbing, hovering and jumping. Like Cole, I’ve learned how to get around my environment also, when I don’t have my prosthetic leg on. For example, I have the most incredible balance because I’m a hip amputee. When I first saw Cole climb to the top of a flagpole in the original inFAMOUS, I noticed he had incredible balance. This was the first time I saw a person displaying incredible balance on top of a flagpole, and my bond with this digital character got stronger because every time I don’t have my prosthetic leg on, I must balance on one leg. The game also has a karma system, which means the player has the choice of being a superhero or supervillain. For instance, Cole was fighting demons within himself to do the right thing and save humanity; or become selfish and only focus on his personal gain. It took me a few playthrough’s to fully understand the complex story of inFAMOUS and Cole. I love this game so much that I would finish it as a hero, and I would start it again as a villain, and I did this multiple times. After the original inFAMOUS was released, the anticipated Uncharted 2: Among Thieves was released for the PlayStation 3. 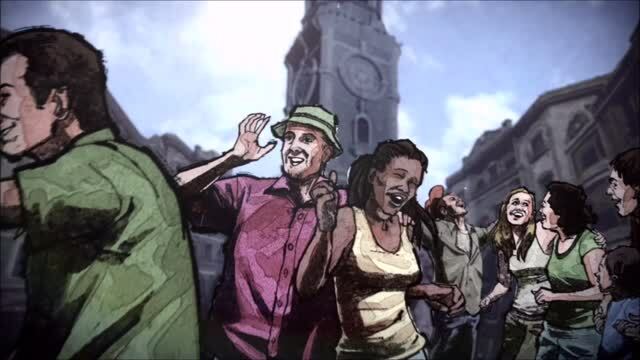 I would constantly reminisce about the universe that Sucker Punch created with inFAMOUS and Cole MacGrath while playing as Nathan Drake in Uncharted 2: Among Thieves. This is when I realized not only is inFAMOUS one of my favorite video game franchises of all-time, but Cole MacGrath is my favorite video game character and superhero. inFAMOUS 2 was released June 7th, 2011, and after the events of inFAMOUS 2, “Hero Cole” sacrificed himself to save humanity. 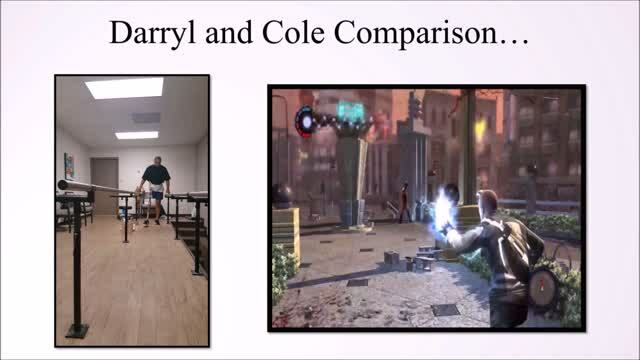 Sucker Punch made the decision to go with the Hero Cole ending based on the trophy data they received. This determined how they would move forward with their next installment. They claimed about 70% of players decided to sacrifice Cole and they wanted to honor the player’s decision. I, unfortunately, played a part in sacrificing Cole, because my first playthrough was as Hero Cole. I feel there was some more interesting stories that could have been told about Cole because his story is so complex. For example, with time travel being involved and some unanswered questions about the villains who were alive in the first game, but weren’t mentioned in the second game. Sucker Punch clearly stated that Cole is dead, and I respect that they wanted to create something new, different and more realistic with inFAMOUS: Second Son, which stars new superhero Delsin Rowe on the PlayStation 4. inFAMOUS: Second Son is different compared to the comic book feel of the first two games. In my opinion, I feel Cole had enough back story to create more than just two games. It seemed like it was over so quick because inFAMOUS was released in 2009, and inFAMOUS 2 was released in 2011. I know it has been a few years since Cole died in inFAMOUS 2 in 2011, but it hurts my soul that I may never play as my favorite video game character again: Cole MacGrath. I’m appreciative that Sony Interactive Entertainment (SIE) gave Sucker Punch Productions the resources to create the inFAMOUS franchise and Cole MacGrath. I thank Sucker Punch Productions for creating Cole MacGrath. A character that was an ordinary person, but still being able to overcome extraordinary adversities. I do not own any content from the images displayed from inFAMOUS (2009) and inFAMOUS 2 (2011). No Copyright Intended. All image content is copyright to their respective owners. All content is property of Sony Interactive Entertainment (SIE), developed by Sucker Punch Productions.